So you end up doing the same thing every time you go. Which translates into zero results. It’s a completely different experience with McGuires kickboxing. Bakersfield residents can count on personalized attention and fun classes to get them in shape. When you take our class, it feels like you’re working with a personal trainer. Except, of course, you’re paying a fraction of what a trainer would cost. If you want to lose weight, build muscle tone, and get in shape, try the fitness kickboxing program at McGuires Karate in Bakersfield! You’ll have a great time while also improving your body. Burn fat… even when you’re not working out! Kickboxing helps increase your metabolism. And once your metabolism gets revved up, you turn into a fat-burning machine! Because our kickboxing workout classes incorporate strength training, you’re going to lose the jiggle and develop longer and leaner muscles. 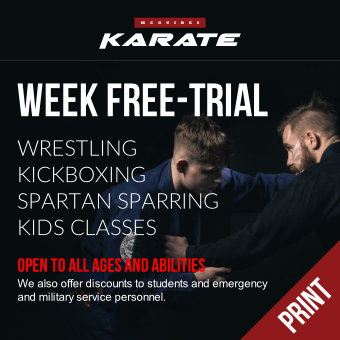 Once you’ve experienced our intense kickboxing workout, juggling everything else — work, school, kids — will seem easy in comparison. With all that kicking and punching, your body is going to learn how to operate at peak efficiency. Plus, it’ll help prevent injury. 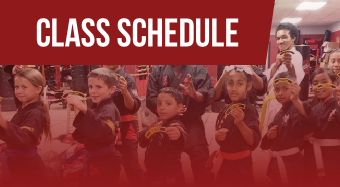 After our kickboxing classes, Bakersfield residents will be in the best shape of their lives. And when you feel good about yourself, others will notice too! Here’s the best part: Our fitness kickboxing classes are so much fun that this is a workout program you’ll actually find it easy to stick with! There are more benefits than just the calories burned. Kickboxing in Bakersfield is fun and exciting, so you’ll enjoy it and want to come back for more. Plus, you’ll be learning how to kick and punch real heavy bags! So what are you waiting for?